For anyone still following I always bank my coals on the left side. She’s slowly starting to fade on that side. I need to start rotating my lid now. If this had a Like button, I would click it. If the original spill left stains, then you covered the stains up, I wonder why the stains reappear when the oil fades?? @kettlebb Did you use the same oil? The spill was canola oil and then I did a combo of canola oil and PAM after to blacken the entire kettle. So, those streaks are the original canola oil spill. 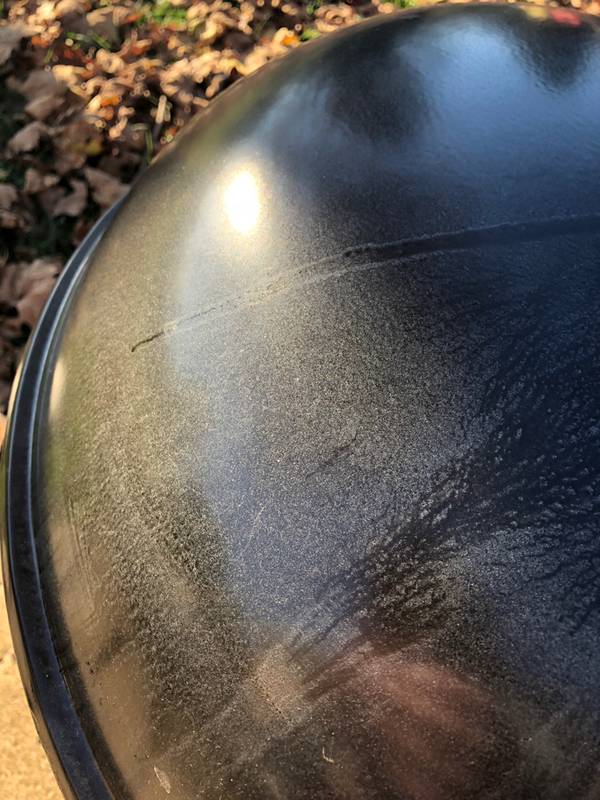 I had a grease drip on the lid of my WW Texan. After a few high heat cooks, it's gone. It will burn off.